There is hidden London and hidden London but this part of town was a complete eye opener. 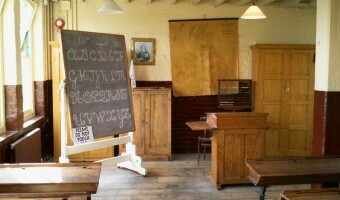 A while ago I went on a fascinating tour of Tobacco Dock and discovered the wonderful little-known gem of Limehouse. If you like your London lucid and lurid then Limehouse is the place for you – but that’s for another time. Anyway, I was recently walking around the Limehouse Basin with its all its multi-coloured barges and assorted moored vessels and discovered a ‘lock’ on the other side of the basin. 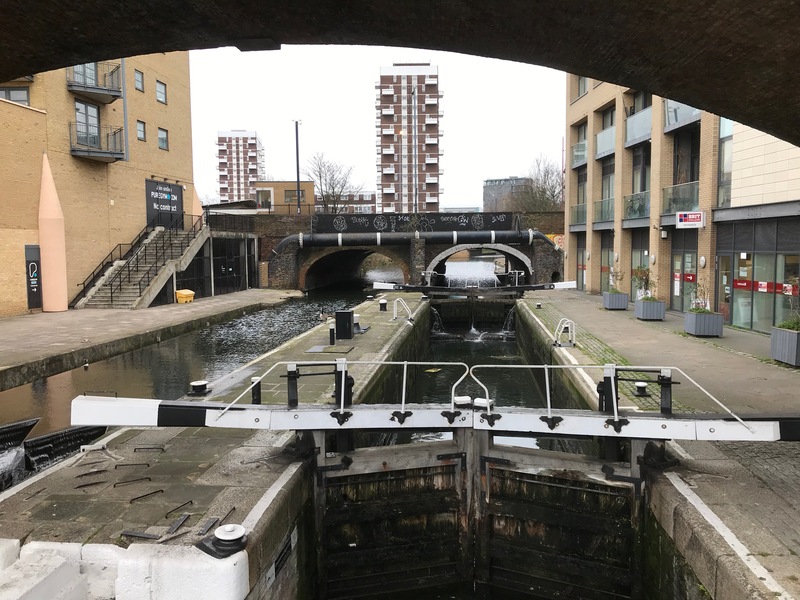 The lock was the entrance to the canal system that goes from east to north London and eventually hooks up with the Grand Union Canal ‘Oop North’ and it immediately piqued my curiosity. Being a bit of an amateur historian I had always wondered where the canals that linked Victorian/Edwardian Britain met the River Thames – and here it was - right in front of me. Straight away I put it on my London Walks Wish List. So, here I was a couple of weeks later at the start of a little adventure into the unknown and so far off the tourist route it had fallen off the edge. I started off by the picturesque system of locks at started walking. I walked for a couple of hours along the towpath moving on a very gentle incline and through the canal system. The whole canal system is on a downward slope from start to finish as that’s the way the water runs and so my walk climbed gently as I moved along. 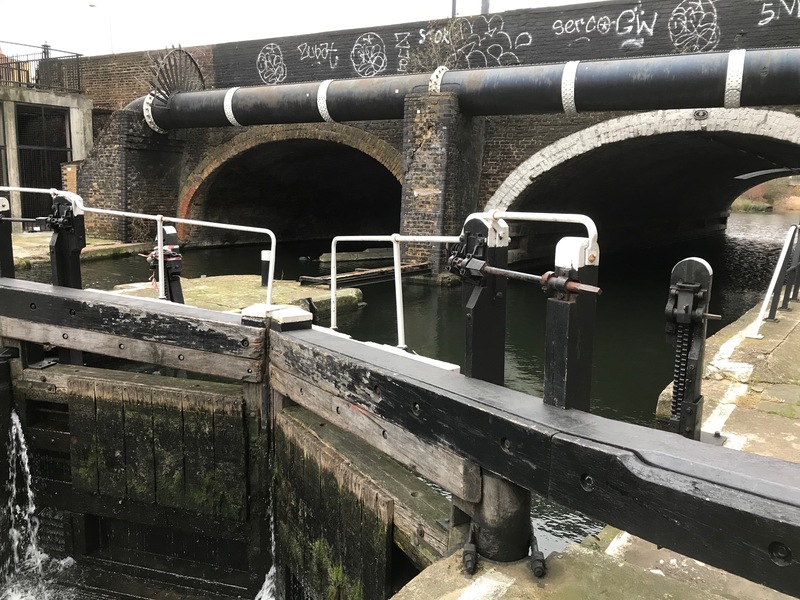 For those of you who don’t know – a lock is a device comprising two or more sets of doors used for raising and lowering boats and barges on the canal to cross land that is not level. There are plenty of these to see in daily action all along the canal. 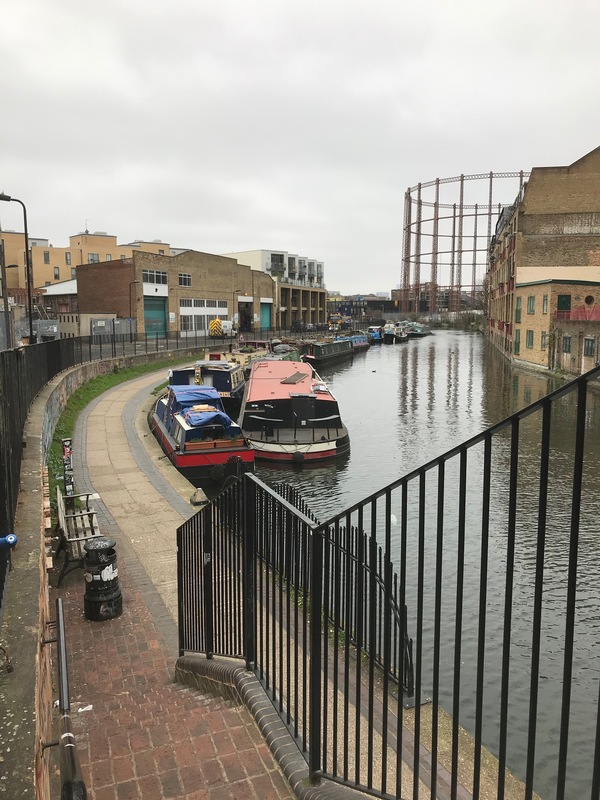 The towpath will literally take you straight through London – through housing estates, parks, shops and markets and everything else that forms the hustle and bustle of the modern city. 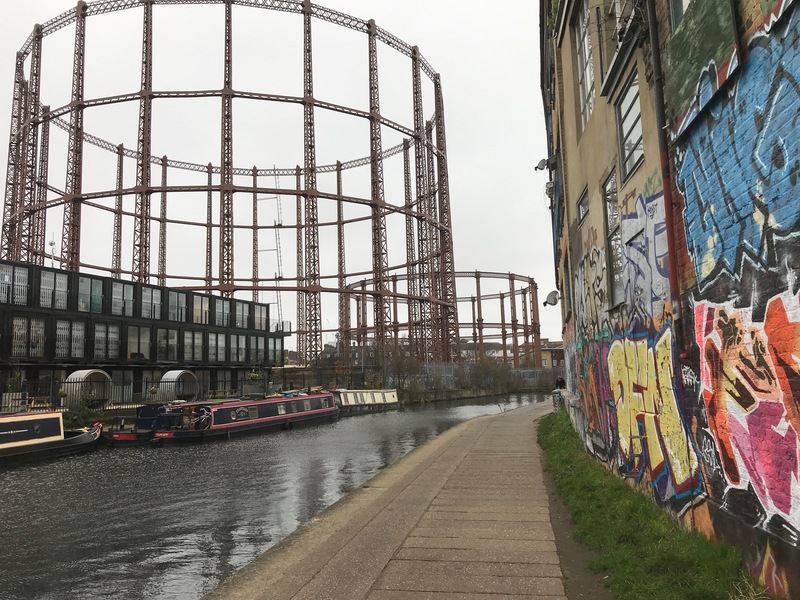 I passed through lots of different parts of London – like Bethnal Green, Mile End, Globetown and Hackney - following the path of the canal. It was like being in a parallel universe with the throbbing metropolis visible on both sides of sides of my walk which in itself was in a quiet peaceful setting. There is actually plenty of wildlife evident here and Canada geese and Moorhens are in abundance. Two very pleasant ladies from the Canal and River Trust who let me use their ‘loo’ told me to watch out for a number of rarer breeds of birds like kingfishers, egrets and dippers. I popped my head up at street level in the very trendy London Fields for some organic coffee and then continued my walk on the towpath back up to Islington. The path stops here temporarily before the Islington Tunnel but starts again very nearby. I was ‘late for a date’ with the British Library so I left the Canal Path and hopped on a tube. What I loved about this walk was the juxtaposition of new and old London. 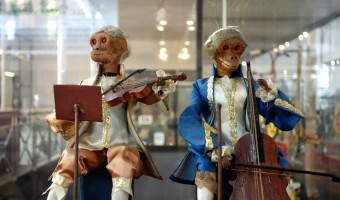 There are wildlife and city life living tooth by jowl. There is history in abundance and every lock-gate has its own tale to tell. 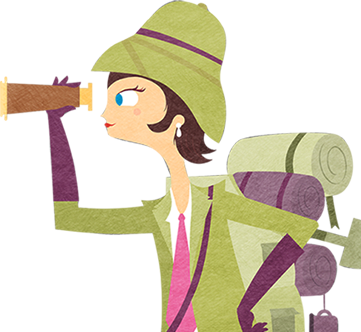 But don’t expect it all to be laid up out a plate for you – inquisitive walkers will have to look for clues. The path can be quite solitary until you move through the major conurbations and are populated by many waterborne locals and joggers. Therein lies its beauty – a bit of ancient London with modern tenants.